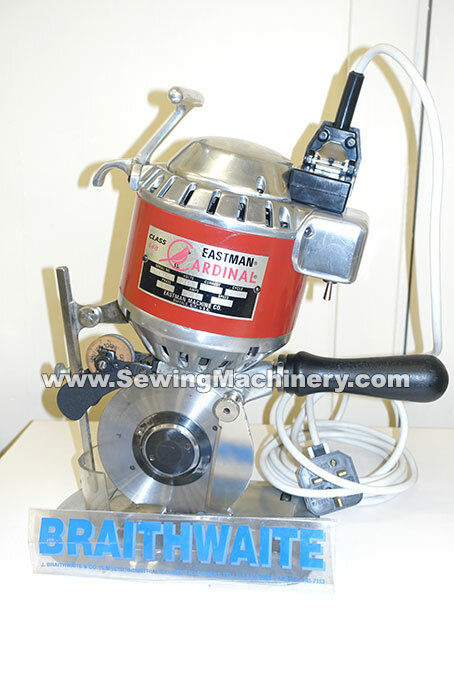 Eastman Cardinal 548-52 round knife cloth cutting machine. 5 1/4" round blade model made in USA. Reconditioned & supplied with 3 months used machine warranty.